Our product range includes a wide range of hotel marble wall panel. Staying informed concerning most recent business advancement, we are effectively occupied with offering wide grouping of Marble Wall Panel for Hotel. Known for its Marble cutting work, the given divider board is made from the top evaluation marble & contemporary apparatuses according to the set patterns of business. Offered divider board is available in various sizes, completes and altered alternatives to satisfy the needs of clients. This divider board is weighed regarding quality for guaranteeing its faultlessness. 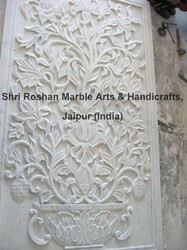 Looking for Marble Wall Panel for Hotel ?